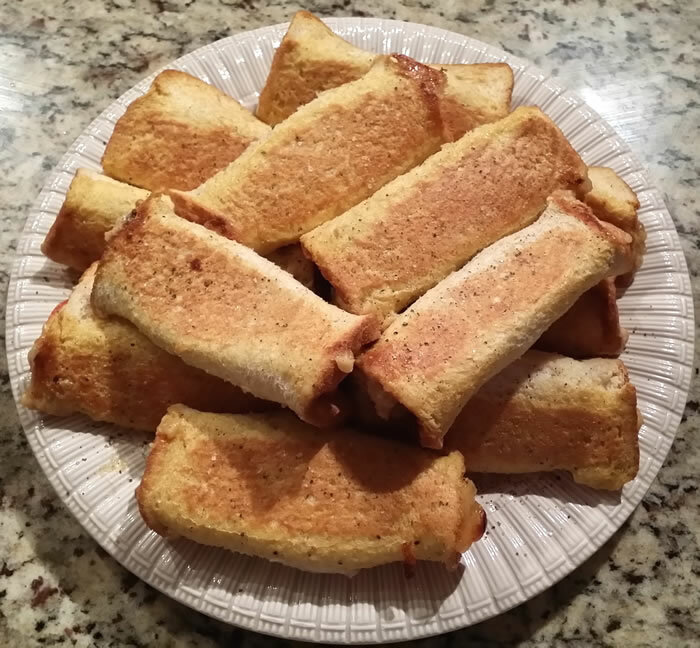 These delicious snacks are a cross between French Toast and South Island Kiwi Sushi (that I have read about but never tried). 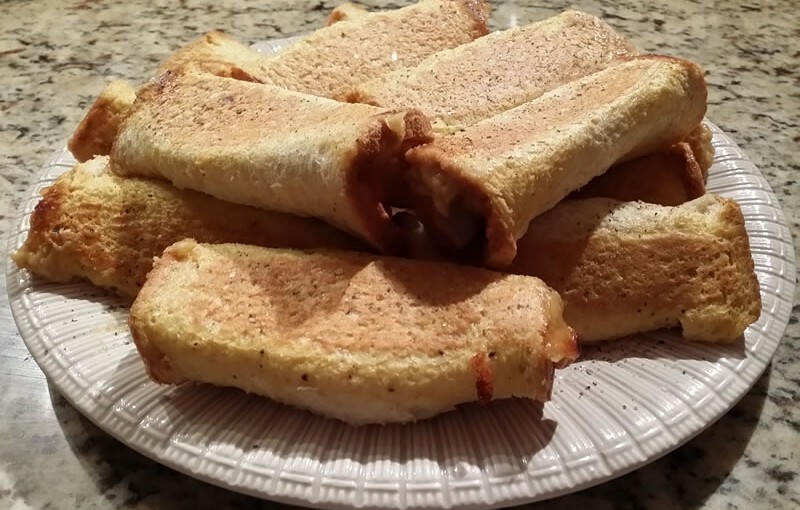 If you like cheese on toast and French Toast, then you can’t go wrong with these and they will be a hit for the grown-ups and the kids! 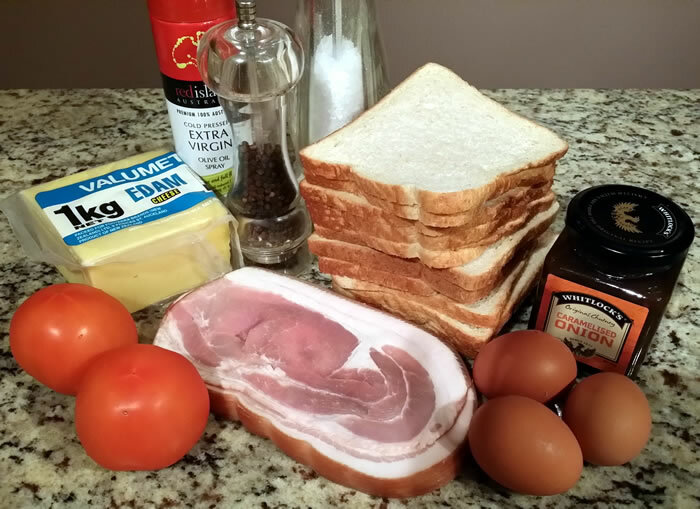 I created this recipe after watching Paul Henry yesterday (24 July 2015) on TV3 (New Zealand), telling the nation that his signature dish is cheese on toast and this is what his dinner guests often get served – so here we are Paul – really impress your guests with your cheese on toast next time! I have used a “bought”, caramelised onion chutney for this recipe, mainly because I had it in the cupboard and if serving chutney with meals, I prefer to use my own homemade chutney, so needed to use this one up (and it was a really nice combination with the cheese), but you can use any chutney or pickle that you takes your fancy. 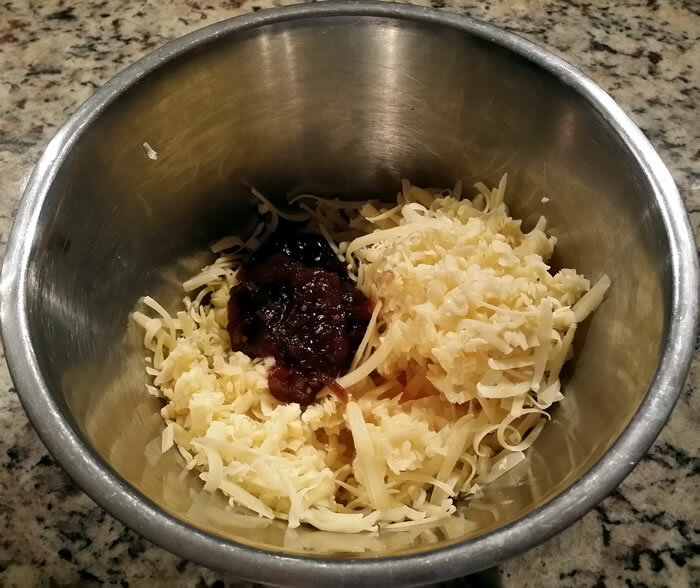 Mix together in a large bowl one beaten egg, cheese and chutney. Lay the bread slices on the bench and spray with olive oil. 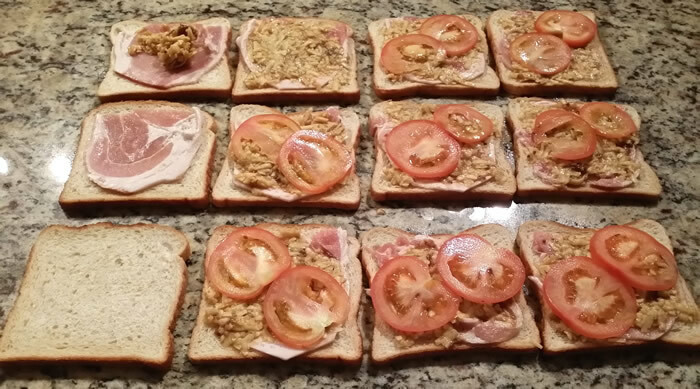 Lay a piece of bacon on each slice of bread. 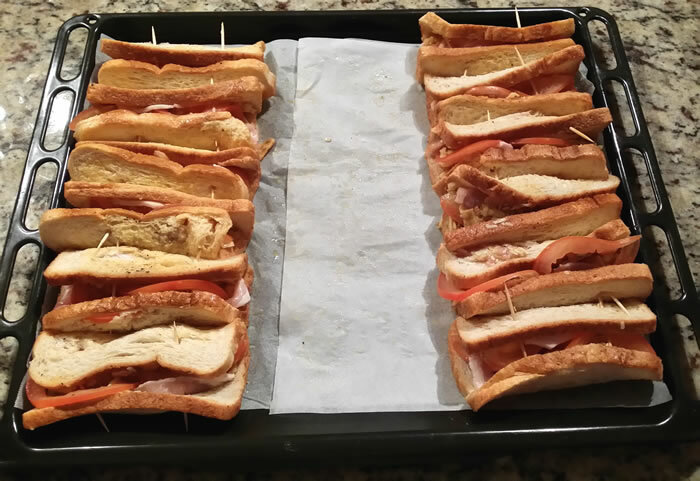 Divide the cheese mixture between the 12 slices and spread on top of the bacon, then place two slices of tomato on top of each. Pour 2 beaten eggs into a large tray. 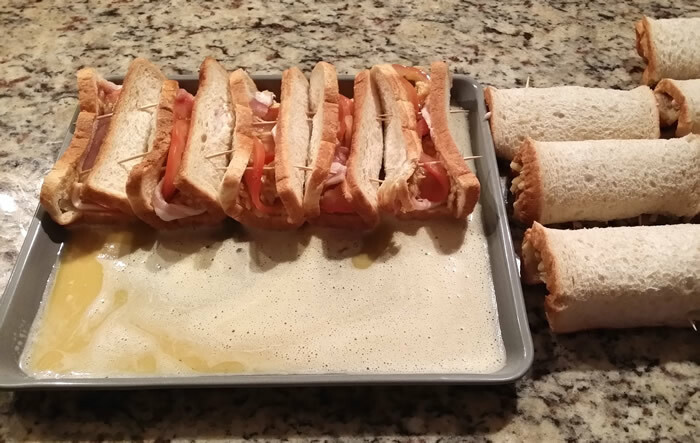 Roll each slice of bread and secure each with 2 toothpicks. Roll secured bread in the egg mixture soaking as much of the bread as possible. Transfer to a baking tray lined with baking paper, exposed side up, bread side down. Bake at 180°C for 20 minutes. Remove tooth picks, arrange on a serving plate, add a liberal grind of salt and pepper and serve immediately.